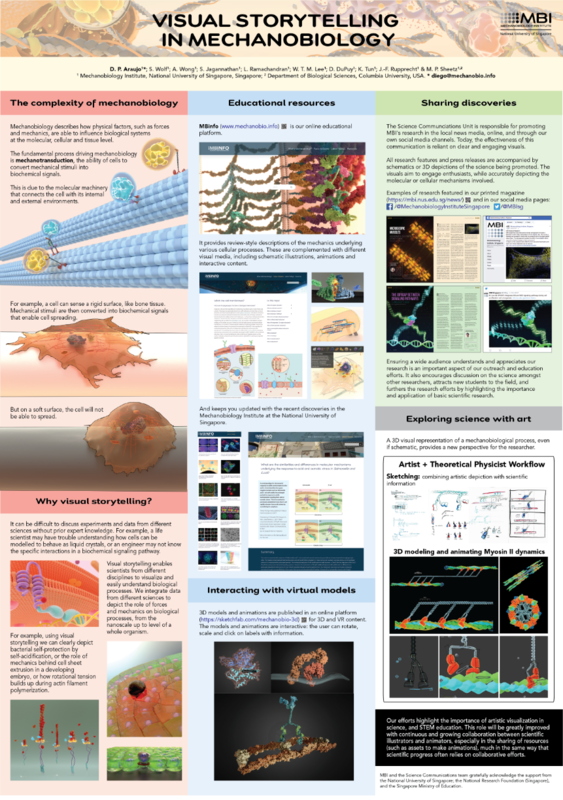 The award for Best Scientific Poster at VIZBI 2018 was won by ‘Visual Storytelling in Mechanobiology‘, a collaborative work by Diego Pitta de Araujo, Steven Wolf, Andrew Wong, Sruti Jagannathan, Wei Ting Melanie Lee, Lakshmi Ramachandran, Kyaw Tun, Jean-Francois Rupprecht, and Michael Sheetz. The team are based at the National University of Singapore and also at Columbia University, USA. Congratulations to the team – they receive a one-year subscription to Clarafi, a scientific visualisation portal offering high quality video training, resources, and tools to support those interested in improving their skills. This year, the prize for best Art and Biology submission went to Kyle McClary and Trisha Williams (The Bridge Institute at USC, USA) for their artwork ‘The World in a Cell‘. 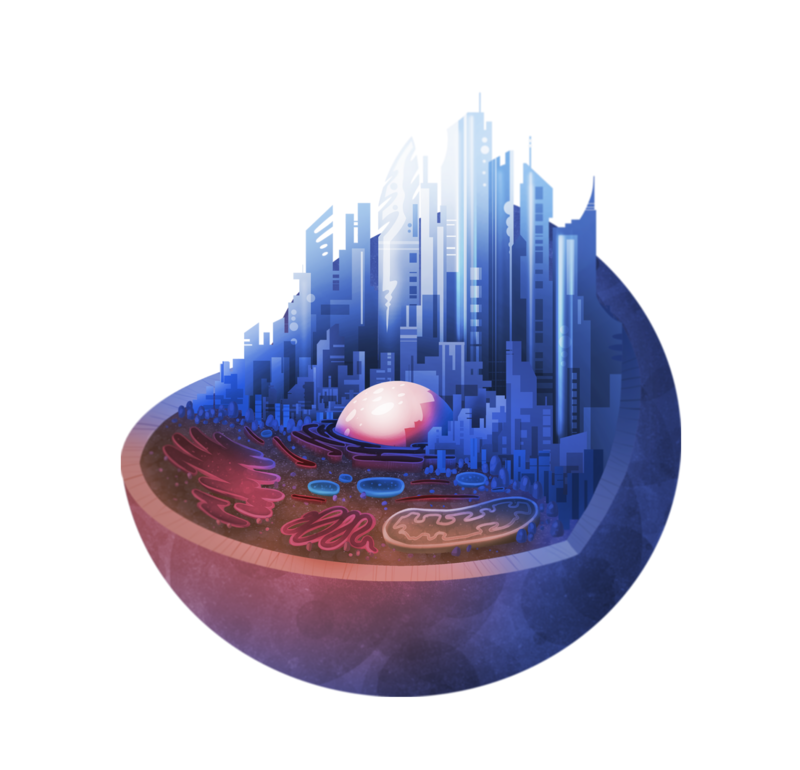 This work questions what we can learn about the human cell by analogy to complex urban systems, and how we might rethink the future of cities by studying cells. The Association of Medical Illustrators has awarded a 5 minute speaking slot at their Annual Conference in Boston this June, with special discount registration. There are still a few tickets left for both VIZBI Showcase: Science Reimagined (Today, 6:00-7:30 p.m.) and the Data Visualization Masterclass (Tomorrow, 9:00 a.m. – 5:00 p.m.). Both events take place at the New York Genome Center (101 Ave Of The Americas, New York, NY 10013). Email contact@vizbi.org if you have any queries. 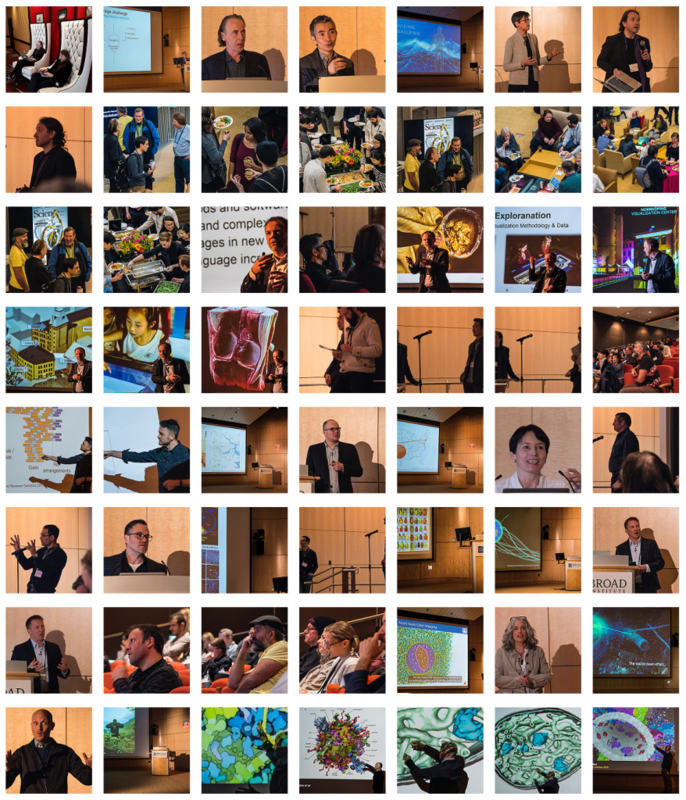 The first photos from VIZBI 2018 are available at https://vizbi.org/2018/Photos/. If you have more, upload them to Flickr & tag with ‘vizbi’ – they will automatically appear on the above page.